Asad Enterprises | We can help you with all of your vehicle transport needs. 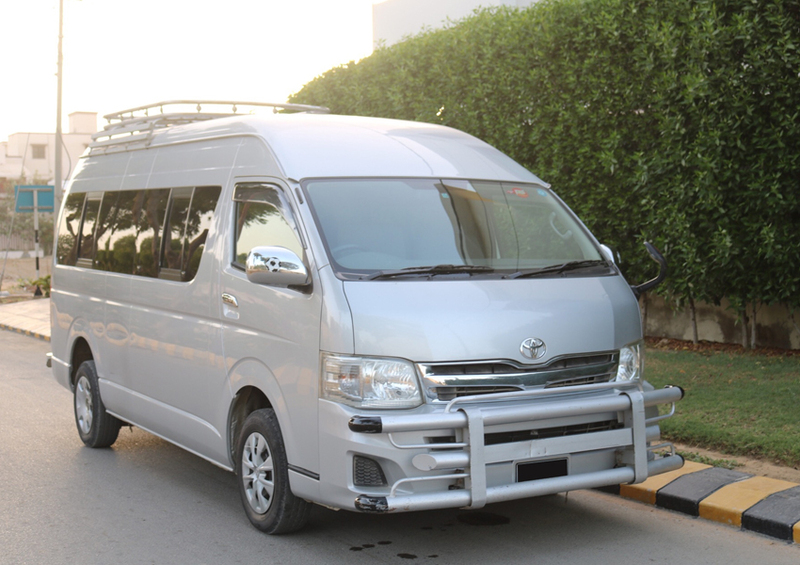 Select Vehicle Select Vehicle1 – 4 Seater Vehicle – Car1 – 4 Seater Vehicle – Toyota Vigo1 – 7 Seater Vehicle – Land Cruiser5 – 7 Seater Vehicle – Suzuki Hi-roof8 – 14 Seater Vehicle – Toyota Hiace15 – 30 Seater Vehicle – Mazda Coaster31 – 45 Seater Vehicle – Bedford Bus31 – 45 Seater Vehicle – Hino Bus31 – 60 Seater Vehicle – Hino Bus"
Asad Enterprises distinguishes among other service providers by tailoring to the needs of every individual client though catering to different industries. 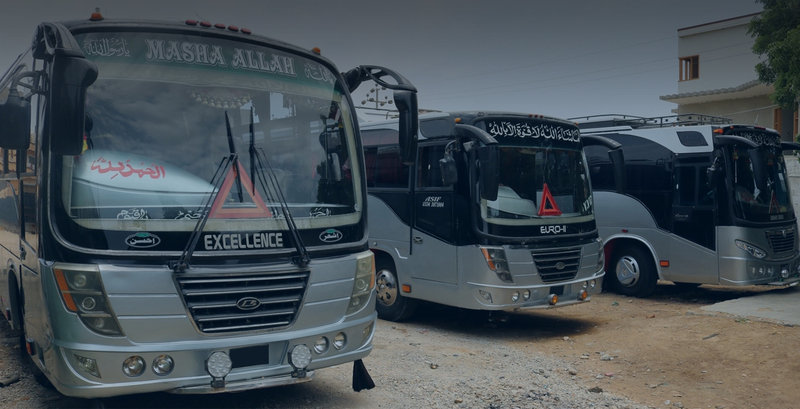 We offer a diversified range of services with a sizeable fleet of vehicles equipped with the latest technology, new strategic goals, cutting edge tracking and monitoring technology, ensures timely and safe journey of our client. To provide our clients most save and secure services we have added exclusive facilities which differentiate us from our competitors. We never compromise on our clients’ needs because we care for them! We have equipped our vehicles with fire extinguishers facility in order to deal with any emergency situation because we are concerned with our clients well being and their protection. In case of any unfortunate event we have added another facility of first aid box to provide our clients an instant first aid services before actually reaching to hospital premises. Online Vehicle tracking is an incredibly important tool for us to keep our self and our clients updated about vehicle routes and directions. 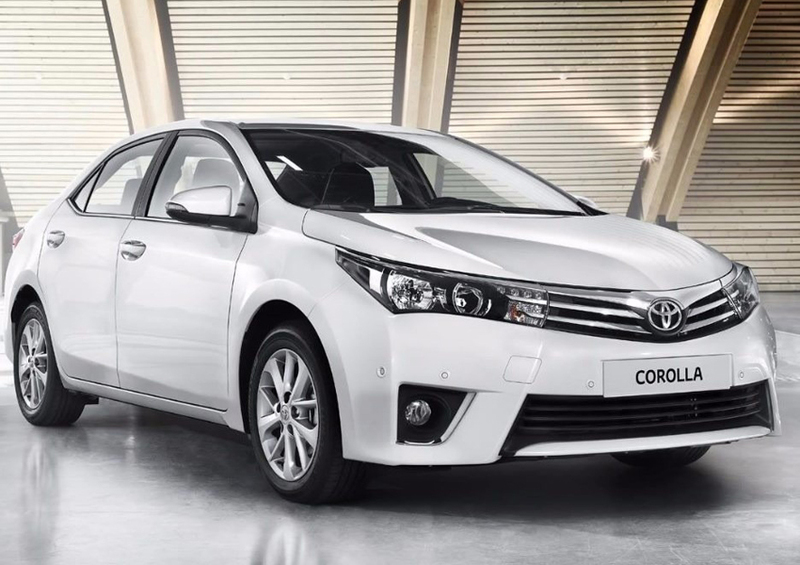 It helps in greater foresight and increase drivers driving habits. To make sure the uniformity and equality, our divers have a specific costume that symbolizes our organization and motivate them. We ensure fairness and consistency among our employees. We extends to you our warmest greetings. 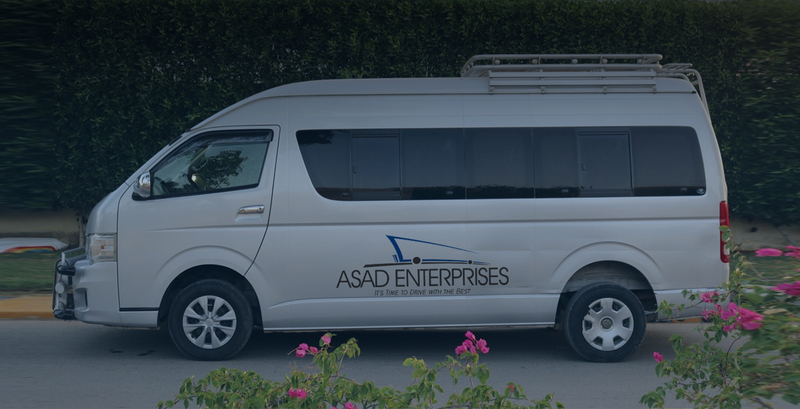 It's a pleasure to be able to present Asad Enterprises . 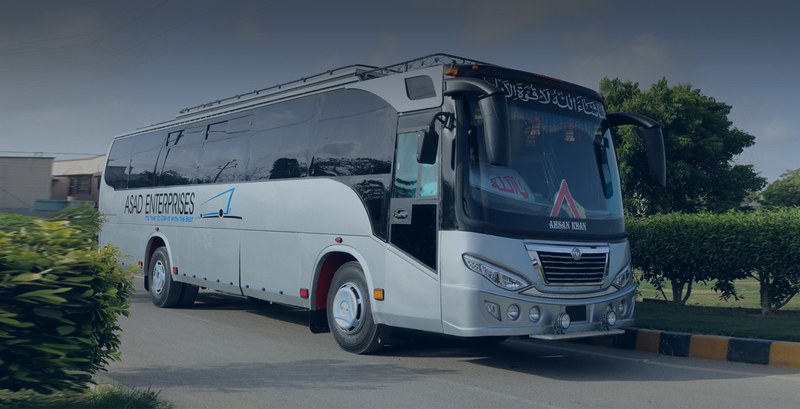 From our inception till date we are committed to set a new milestone in the transport industry, with the main notion of Total Customer Service and Satisfaction. Our quest for excellence will continue as we aim to be the first choice for all companies in need of transportation services. 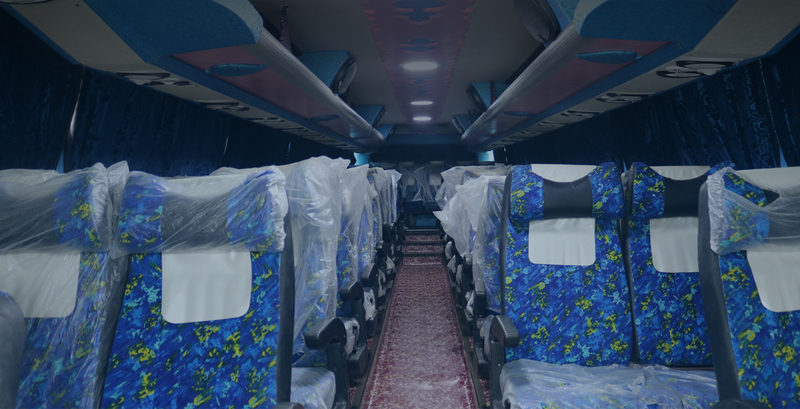 Our company’s success stems from our satisfied client experience while providing them with the best transport facilities through our well-trained personnel that render exceptional services. 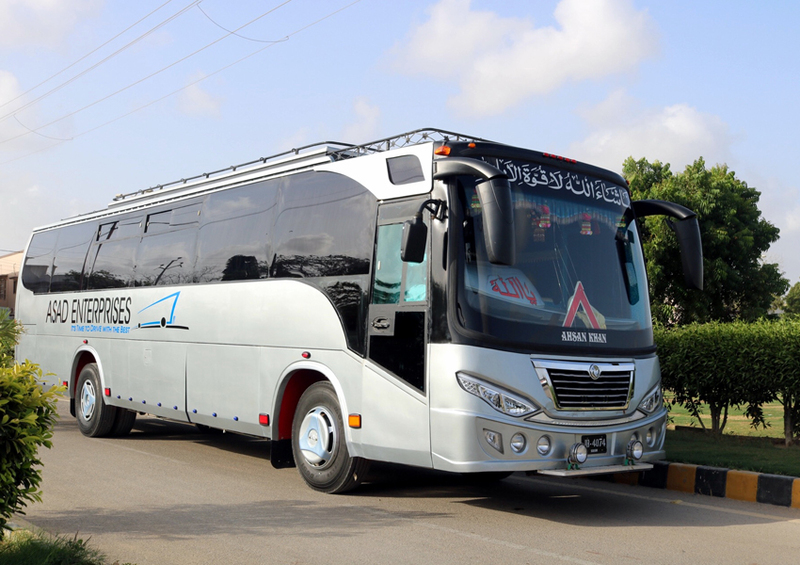 Asad Enterprises has been established since so long, with its principle place of business in Karachi – Pakistan. We work with an experienced, dedicated and qualified team, who works in an integrated manner, always looking for the best solutions for our clients. Copyright © 2019 Asad Enterprises. All rights reserved. Designed by Rashidyounus.com.